Go for a holiday close to the city but far from the stress! Our camping situated 3 minutes far from Hévíz-Keszthely in calm, nice environment. Its unique that it was built in the hillside so the accommodation has terraced construction. We offer 6 apartments each for 2 persons. 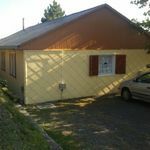 1 room (without TV), kitchenette (gas oven with 2 top, fridge), bathroom with shower, balcony, front garden. Further we offer 2 apartments for 4-4 persons: 2 bedroom, living room (TV), kitchenette, shower, balcony, front garden. Caravan is also for rent (without bedclothes, sleeping bag). 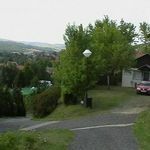 The rating of Panoráma Apartman Cserszegtomaj is 8.5 from the maximum 10, 46 based on actual and valid guest ratings and reviews.